Easy and delicious! This pie will be a hit at any event! Cook your pie crust according to package or your favorite recipes directions. Let cool. Beat heavy whipping cream until stiff peaks form. In a separate bowl, beat cream cheese until fluffy. Gradually add in sugar and vanilla. Fold cream cheese mixture into the beaten heavy whipped cream. until evenly combined. 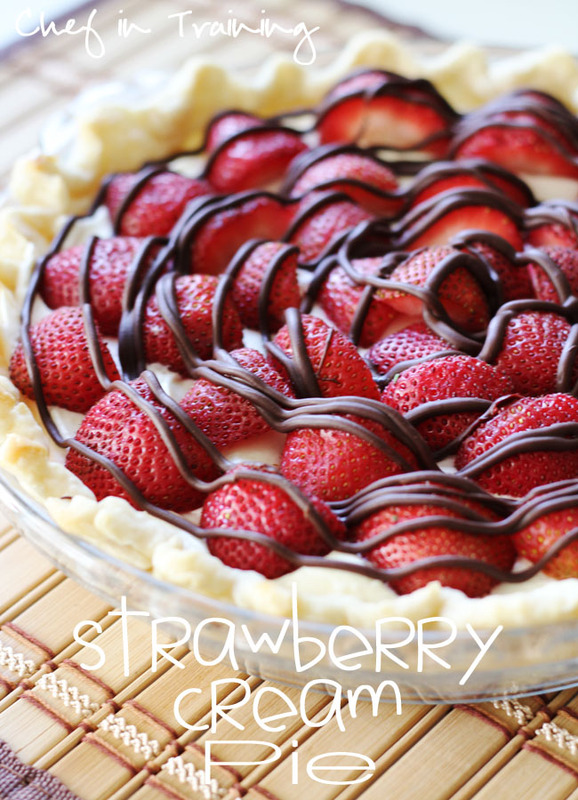 Arrange strawberries over the top of filling. Melt 1 Tbsp shortening or oil and ½ cup chocolate chips in microwave, stirring every 30 seconds until smooth. Drizzle over strawberries.